Our classic sausage specialities are favourites amongst gourmets. They offer best ingredients, special recipes and artistic design, thus giving not only tasty but also visual appeal! 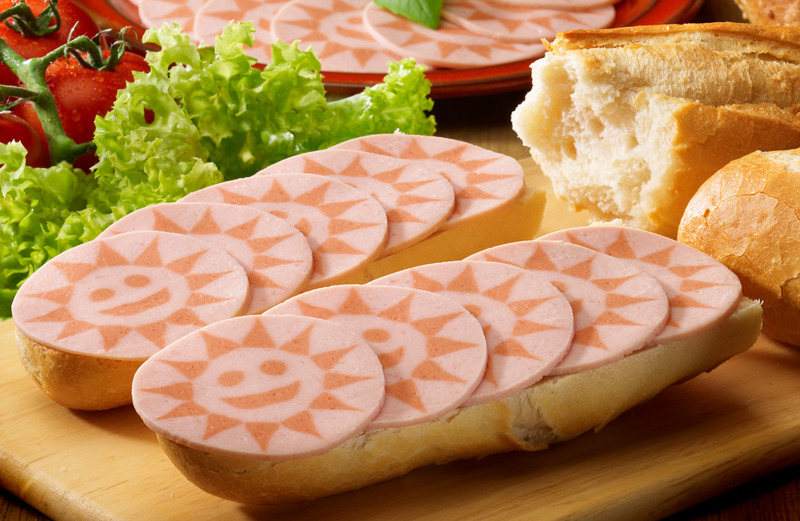 Classic design sausages from Feldhues are naturally unique when it comes to constant and clear pattern and shape definition - as you would expect it from Feldhues. A large range of attractive designs in many different flavours offers a wide choice that is visually appealing and convincing in taste. Use our know-how to differentiate your range of products from common standards. Because of demographic changes in the market traditional products with visual appeal find an increasing number of customers. 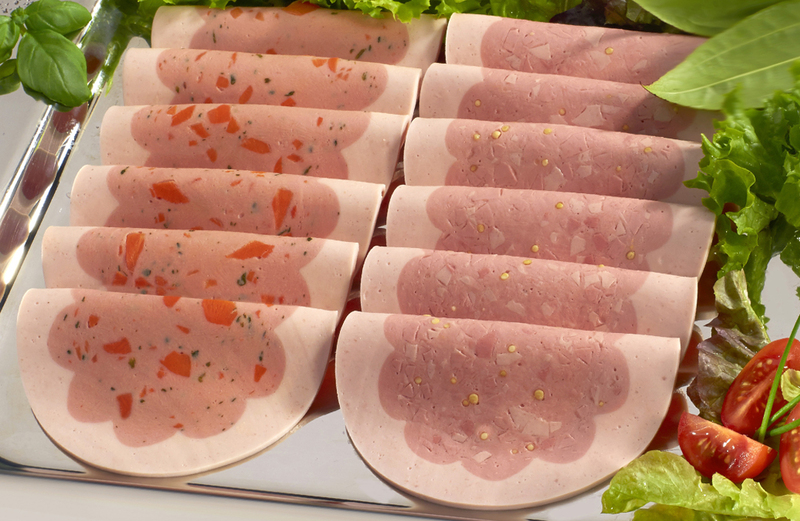 Visually appealing cooked sausage with flower deco in the meat slice, available in 2 mainstream flavours at competitive prices. 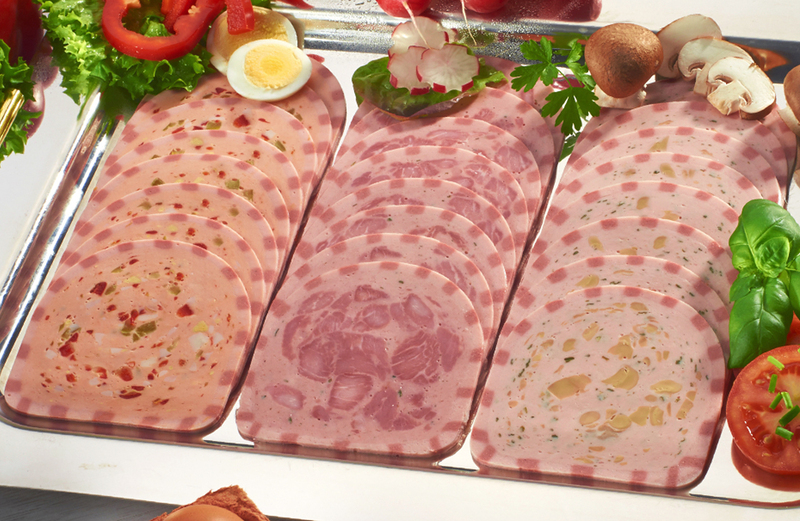 A real alternative to common fast-moving standard cold cuts. 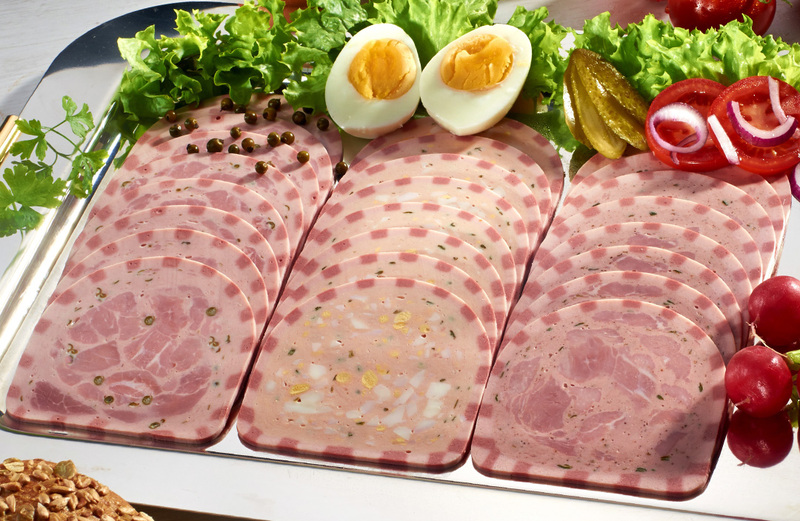 These products again combine the use of high quality ingredients with in-house production technology - great for your cold meats assortment. 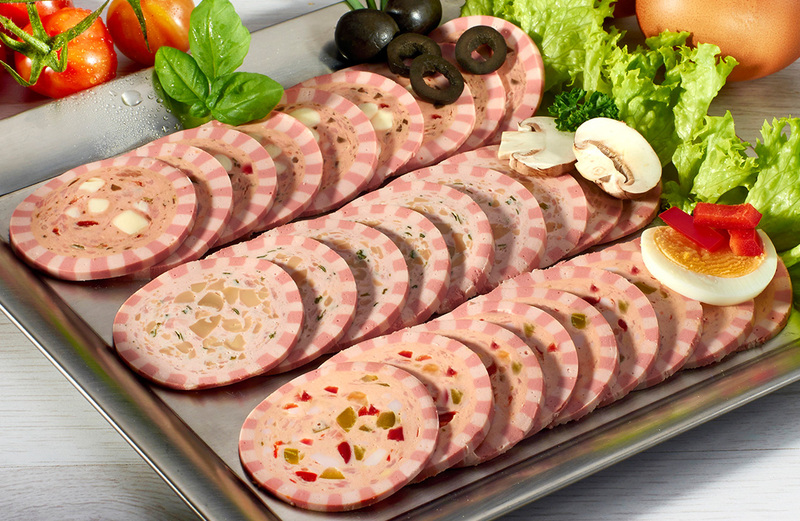 Besides our classic sausage loaf assortment in round- and tunnel format, we can offer you something special: Poultry-sausage in four tasty varieties, surrounded by an appealing two-colour-outer-rim or with our fancy sun design in calibre 55!